"I didn't come here to sell my soul. I came here to buy it back." Once dubbed "The Deadliest Man Alive," Jarrod Torrealday is a former Olympic saber hopeful and medieval weapons expert banned from competition for killing another fencer in a duel. Despondent, volatile, alcoholic, yet still one of the greatest swordsmen alive, he now works for third-rate fantasy films as a technical consultant and stuntman. When Jarrod accepts the gig of a lifetime from a sorcerer looking for a hero, he finds himself facing an invading army in a world inhabited by creatures from Earth's mythical past. He soon learns that the enemy mastermind is also from Earth, and has laid the foundations for a new kind of war. 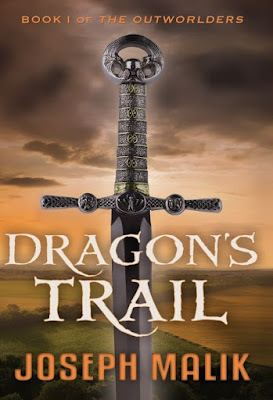 Seamlessly blending hard science with elements of classic sword and sorcery, Dragon's Trail is an international bestseller that's being hailed as the pioneering work of a new genre: the Fantasy Technothriller. Sequel, THE NEW MAGIC, coming September 2018.